Ensuring you have good computer security—and especially good network security is essential for anyone using today’s hostile Internet. Specially crafted viruses look for credit card numbers and PayPal passwords so that they can steal your money in mere seconds. Protecting yourself from the Internet’s most grave threats is easy, but it does require a little work to get your network security just right. Start building up your network security by activating or testing the features built into your Windows operating system. Windows began including the number one best network security feature in Windows XP—a network security firewall. A network security firewall protects your computer by only reading incoming Internet data packets that you’ve requested. When the firewall sees a data packet you haven’t requested—whether it’s an attempted hack or just some misaddressed data—the firewall silently ignores it. It’s kind of like ignoring the taunts of a playground bully so that he’ll go and pick on someone else. Network security firewalls are highly effective at keeping hackers out of your computer and, as an added bonus, they use very little of your computer processing power or computer memory. That means that they’re basically free security, so you should certainly take advantage of them. Do You Need A Fancy Or Costly Network Security Firewall? A lot of companies will try to sell you an “enhanced” firewall, sometimes bundling it in with their anti-virus software. All firewalls work on the same exact principle—block anything you didn’t request—so there’s no technical advantage to upgrading your network security firewall. However, some firewalls are easier to use and some firewalls offer more options. These options don’t enhance your security, but they do make it easier to configure your network security firewall to work with server applications such as computer games and network print servers. If you can’t get an application working with the default Windows firewall, then you may want to consider upgrading your firewall. Of course, if you pay for reputable anti-virus software that comes with a built-in firewall, then I suggest switching to your anti-virus’s firewall so that your network security configuration is all in the same place. A network security firewall only blocks Internet data packets you didn’t request, so your computer can still be infected if you request something that turns out to be a virus. Viruses are hidden everywhere—in shareware applications, on malicious websites, and even in email from your Mother if her computer has been infected. Every virus is a program and part of that program stays the same no matter how many computers that virus infects. It’s sort of like how your DNA contains some of the same bits as your biological parents’ and grandparents’ DNA. Researchers at anti-virus companies look at viruses and identify their signatures so that they can find viruses before they infect a computer. These network security researchers then distribute the signatures to all of their customers so the customers can scan their incoming email and other data. This is one reason you want top-rated anti-virus software from a large company: the more network security researchers a company has, the more virus signatures they can identify, and the smaller your chances of catching a computer virus. Hackers release new viruses everyday, leaving anti-virus network security researchers to play catch-up. First the researchers must find a copy of the virus on the Internet (usually by getting it from someone who is already infected), then they must find the virus’s signature—something that clever hackers try to hide. The solution for unpreventable virus outbreaks provided by most network security companies is the ability to scan your entire computer for viruses. 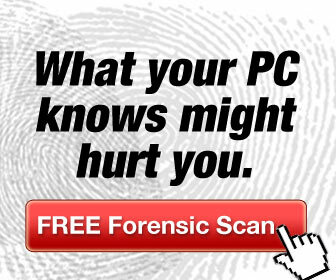 The scan uses the same virus signatures, plus it looks for the common symptoms of a virus. If you’re doing something important on your computer that doesn’t include downloading files from the Internet and you need all of your computer processor (CPU) power—then just turn off your anti-virus software temporarily. You’ll get an immediate speed boost if your anti-virus software was working and, as long as your firewall stays up, you’ll still have full network security. Great security tips for every one. I know people don’t like to hear what you said about anti virus software but I totally agree with you. I have been using the internet now for 25 years, I was on the old APRANET and I have never ran an anti virus software and never caught a virus once. I have a simple rule I work by, If I do not recognize the email is from someone I know and it has an attachment it goes in the trash, unopened. If I receive an attachment that I thing is odd in any way it goes in the trash unopened. Most viruses are spread via email and people need to remember this. Another good tip is to stop the spread of viruses via email is to put an email address in your contacts folder that starts with several letter “a”’s and anything you want after the @ sign. This stops they system from automatically sending to your contact list as the first email address freezes the system when it trys to send them out. So the virus stays contained on your computer to deal with. Excellent tips Alex!!! I have not heard that one!! WOW we need a full article on this stuff!!!! As a linux user for the last 10+ years, I have to disagree somewhat. Yes every Operating System is prone to viruses. Yes you should always be vigilant. But in linux you need a strong administrator password, user passwords and only download applications from the official linux distribution repositories that you have (opensuse,ubuntu,fedora etc) and you are fine. You do not need an antivirus. A firewall is built in. Hi Mitz, you hit it in that last paragraph in particular. I have always been shocked to see how much of my computer resources are freed up when I turn the anti-virus off. It’s disturbing to think that, regardless of how costly the anti-virus program is, it is going to eat up system resources like crazy. Thanks for another great security post. Even if someone knows this stuff already, it is great to review it again, to keep our awareness fresh.